The Titleist 915H hybrids features the new Active Recoil Channel and ultra thin face which delivers higher speeds and lower spin both from the tee and off the turf. 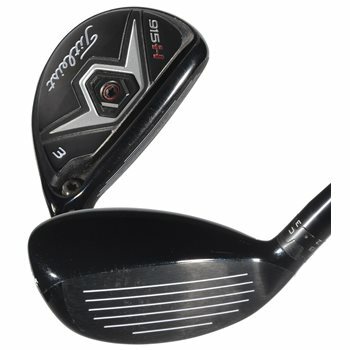 The high MOI design places the CG low in the clubhead delivering stability and ball speed while preserving forgiveness. The rounded profile provides confidence at address, maximum forgiveness, and slightly higher launch and spin versus 915Hd. ULTRA THIN FACE - The high speed face insert increases ball speed across the face. HIGH MOI DESIGN - The low CG design delivers stability and ball speed preserving forgiveness.